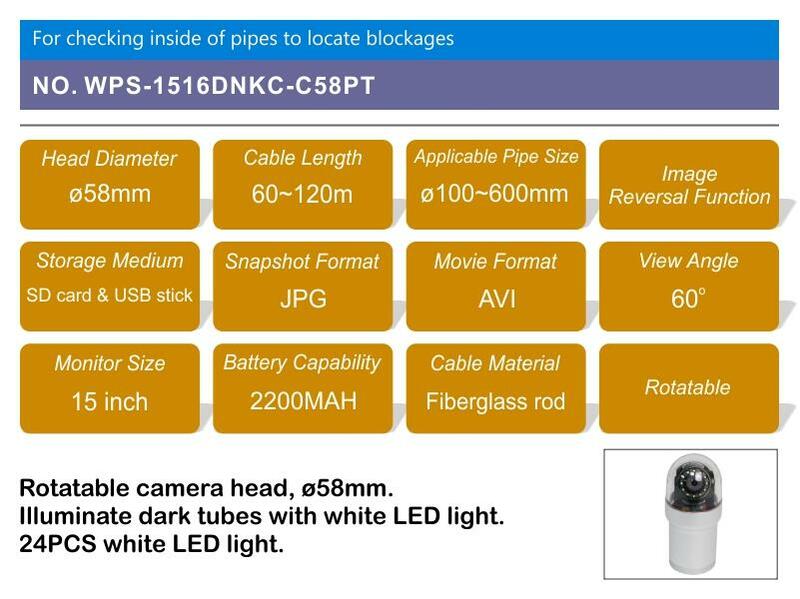 WPS Series 360 Industrial Pipe endoscope, the outside diameter of the lens is divided into 6/16/23/29/40mm, which can be used to form interchange. Rotating lens outside the outer diameter of 50 mm, with waterproof function, the lens can be 180° flip, and can be axial 360° rotation, highlight led for the dark inspection site to provide adequate lighting. 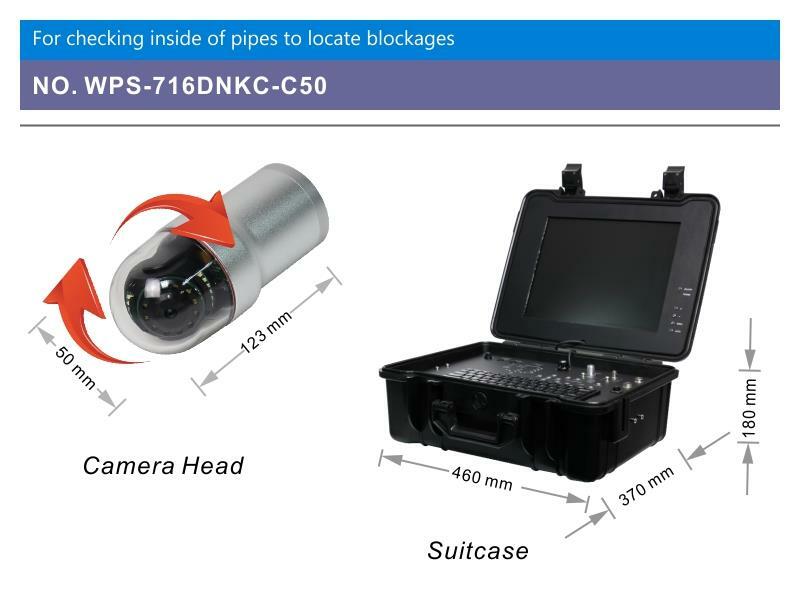 This makes it easy to have a clear video check of the inside of the pipe and container. 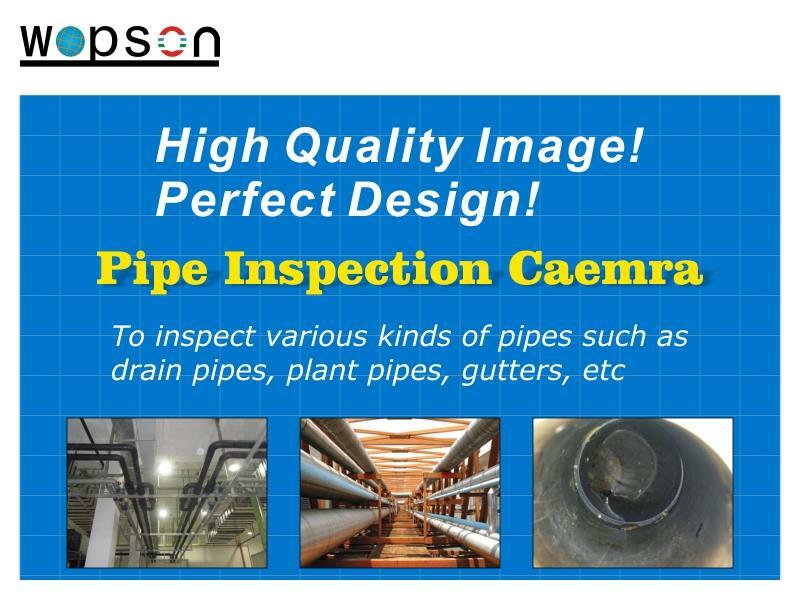 Application field: Color rotation lens brings you close observation, power station boiler internal pipeline, various industrial container, pressure vessel, ventilation pipe and other industrial pipelines. Check the cracks, corrosion, weld, blockage and internal differences. • The lens has many kinds of collocation, the observation scope covers the surface big, the lens can 360° rotates, the 180° flips; small size, outside diameter 50mm. Sapphire lenses, rugged. • Ultra-bright lighting: LED lighting lens illumination brings beautiful image color, especially in the dim light of the inspection environment. • Color widescreen LCD monitor with high quality image, can be fixed when using monitor, can be viewed with hand. • Quick photography, video and storage, SD card storage. • Detection line length 1--120 meters, wire diameter 5.5mm/7mm/9mm, special length can be customized. 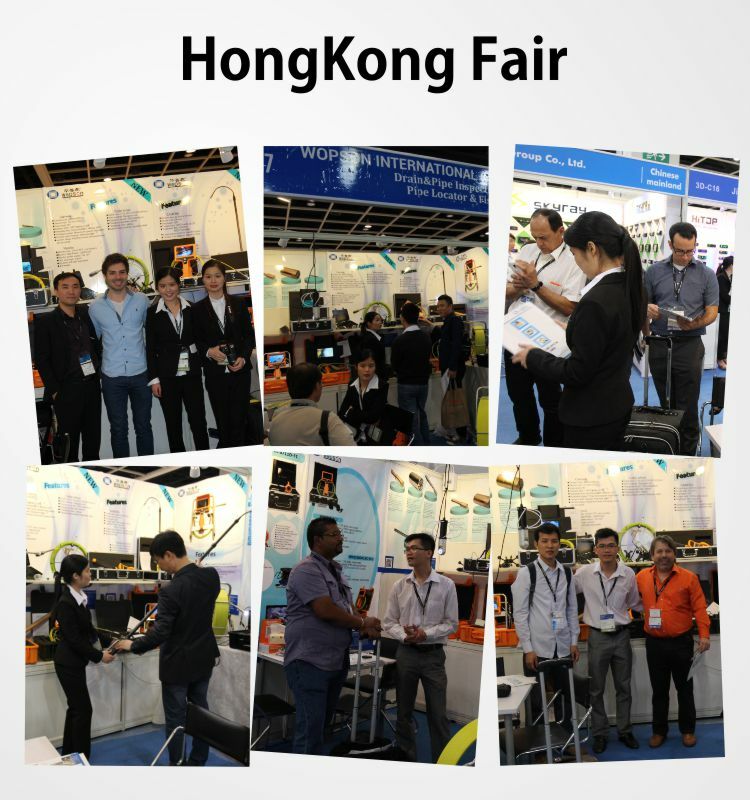 • The testing environment can cover a wide range of areas. 1) Color rotation lens: Chip: 1/3 "COLOR CCD resolution 480,000 pixels; speed: 1.5Lux; There are six sizes of diameter configurations. Sapphire glass lenses, rugged, interchangeable lenses. 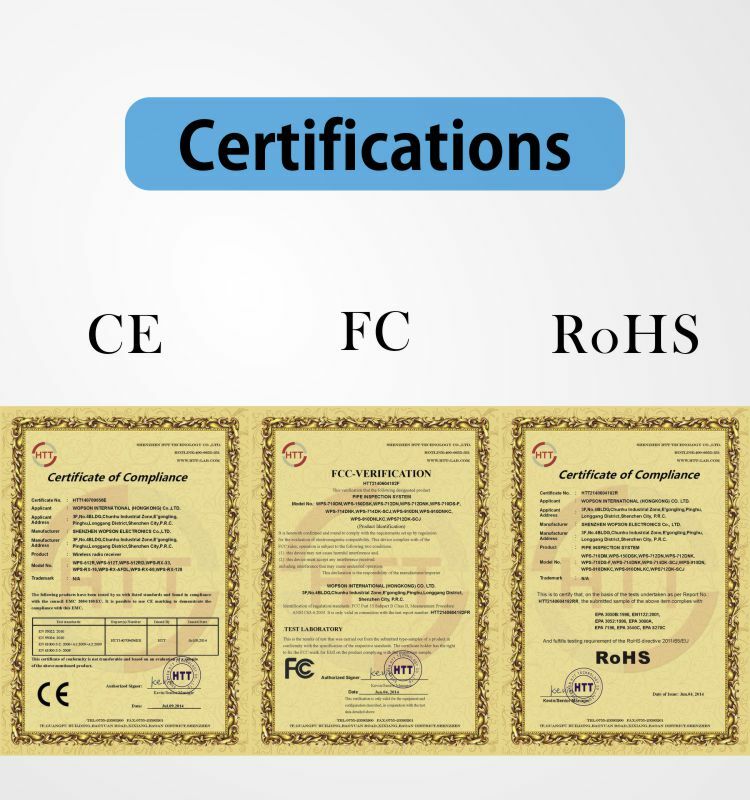 2) Monitor appearance size: 7/15 inch Industrial LCD 500cd/�O highlight display. 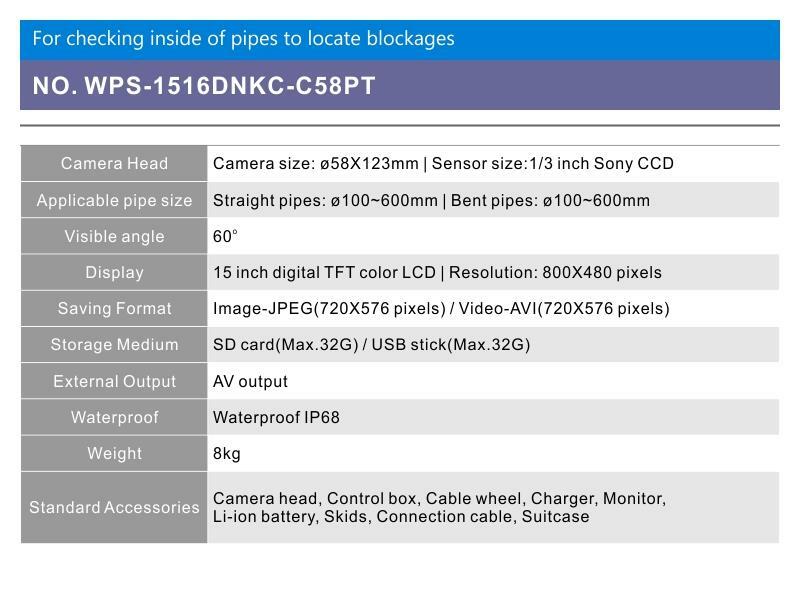 3) Storage: Contains the storage video module, SD storage medium, including 16G SD card. 4 Cable and Cable tray: cable diameter 6.5/7mm/9mmmm, standard configuration 20 meters, can be configured according to user requirements length, waterproof, oil, wear-resistant, corrosion-resistant.